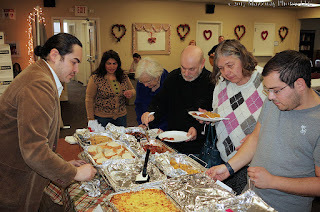 The night event announced was the 2018 International Potluck Dinner with the Bogota Public Library. This will take place on Saturday-17-February-2018. It will be held in the second floor Senior Center located at 375 Larch Ave Bogota, NJ. This will begin at 4:00p and run to 6:00p. They are planning a Valentine theme and would like any Ethnic , or Cultural that may reflex that feeling. They are looking for all aspects of food items including appetizers, main courses, sides, desserts, and beverages. Admission is a food item to share with members of the community. It is also asked that anyone attending please bring items to be donated to local food banks. Please contact Bogota Beautiful to arrange what item you will be donating to the dinner. Newer projects announce was that the Bogota Beautiful will be scheduled for Saturday-21-April-2018. 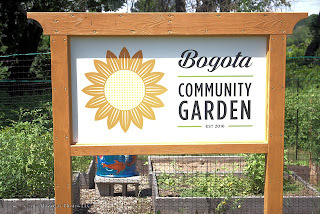 This may be in cooperation with the Bogota Environmental Commission and may also have a Clothing Exchange to help recycle wearable clothing to those who may want to trade, or donate to others. Bogota Beautiful has been contacted by Arts Bergen to aid in finding local Artist and locations to beautify public street item. This will be similar to the painting of unity boxes in Hackensack earlier this year. No time table has been set, but they looking into the Spring and Summer of 2018.